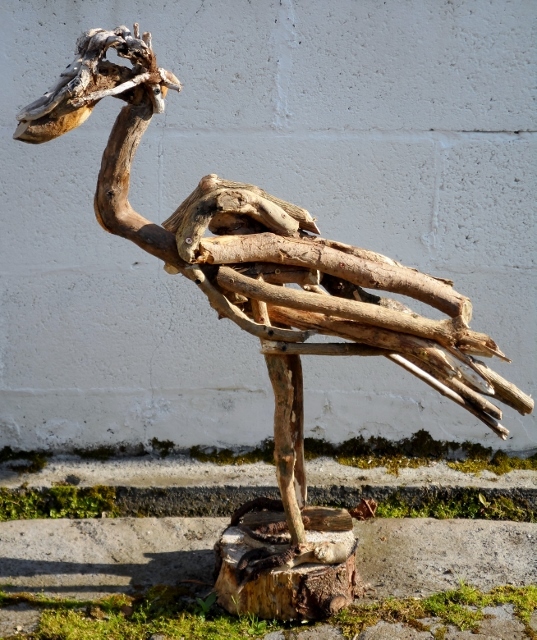 The driftwood sculptures have certainly attracted plenty of interest and I was delighted to receive a commission for a garden heron. The only specification was that it is to be smaller than the original, which is understandable given that the first heron stands nearly five feet tall! The basic shape of the heron was soon in place, although I knew that I would have to make some adjustments to the head and legs as the sculpture developed. I didn’t really have the right pieces to hand for the legs but was keen to get started and confident that I could adapt the existing framework. I probably would not have attempted this on a larger sculpture as it is advisable to make it as secure as possible in the early stages. 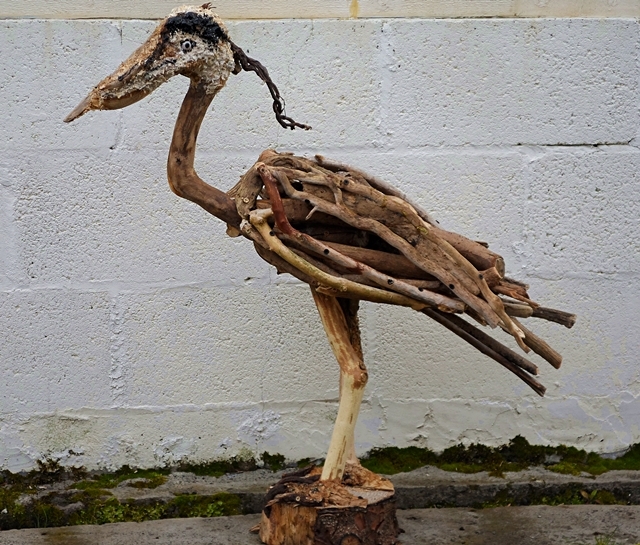 I had some gnarled pieces of eroded wood that were ideal for suggesting the feet of the heron. 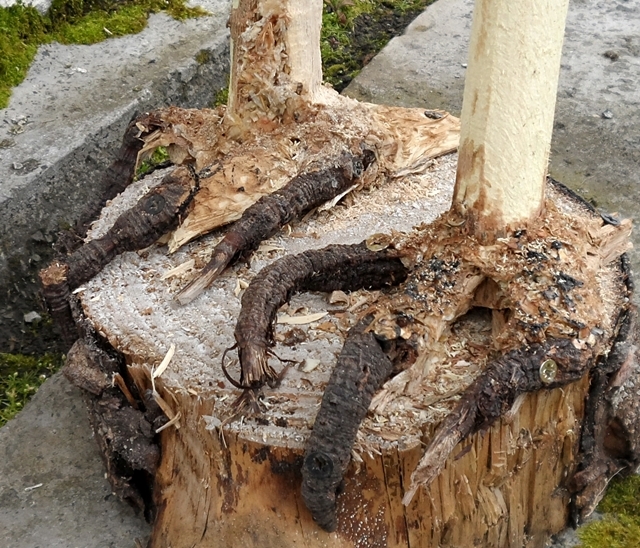 These will eventually be blended in to meet the leg with wood glue and screws securing them in place. Both legs needed adjusting to give the familiar stance of the heron and the head has been built up with wood glue and shavings. The beak still resembles that of a pelican but will be filed down along with the legs. This photograph clearly illustrates the difference in size from the first driftwood heron. I did not set out to create “Noah’s Ark” but things seem to be heading in that direction! 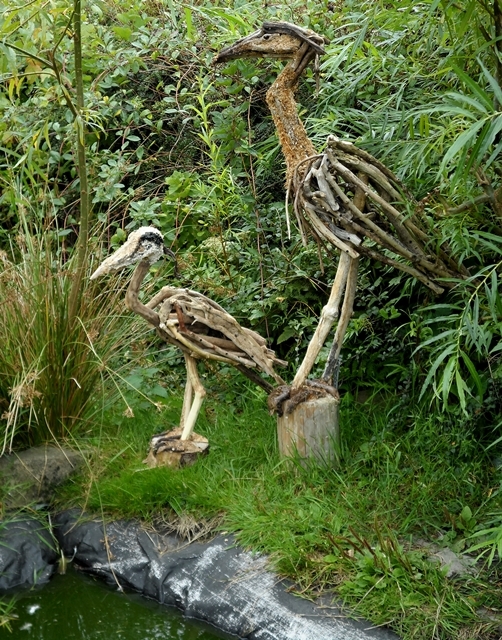 I already have plans for my next sculpture and will update you on that as soon as I have completed the second heron. 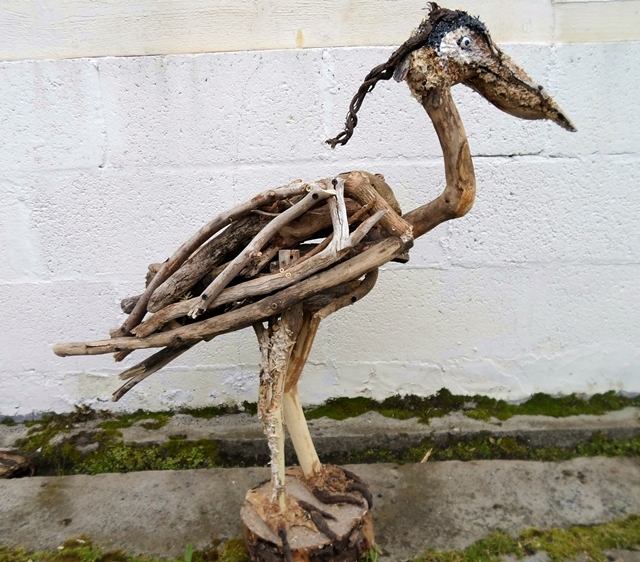 This entry was posted in Recycled, Sculptures, Wood and tagged Animal sculptures, driftwood, driftwood animals, driftwood heron, ecoarts project. Bookmark the permalink.